And so my main research was conducted on the island of Guraidhoo, a short swim from Kandooma (no, really you CAN swim it). It has a population of about 1700, but you’d never guess that by being there. Many people work on Male and are not home very often. The island has winding streets which do not allow for a cross breeze so although the island is probably the size of 3 football fields, the interior is really hot. A favorite past time is hanging in swings like these in the evening when it is a little cooler. The island is dead most of the day, but as soon as the sun starts to fade people are everywhere. The kids play soccer *football* and volleyball while the adults go about with chores. The generational difference is huge; the youth sparkle up their hijab ‘s and type away on their phones while the adults live in antiquity, preparing food by traditional methods and working for a living. Here’s a clear example using breadfruit. 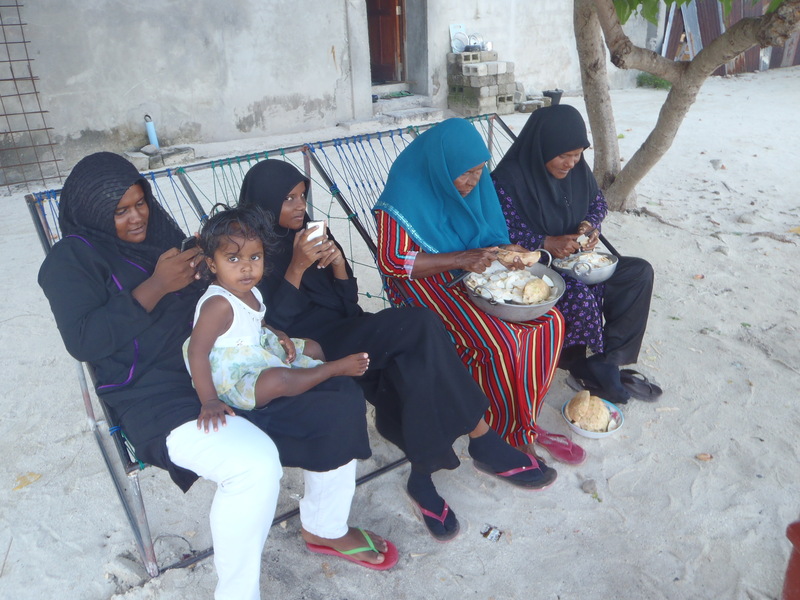 While far away from our sense of modern rush, Guraidhoo does not suffer any less from the laments of Western life. The youth unemployment high and so is the usage of drugs; I had a anonymous kid brag to me on the phone about his cocaine use. The unemployed boys pick up short term jobs for drug money and often still live at home. To me, they complained that no one would give them a chance, but they also did not seem like the kind of go-getter’s you’d trust with that. 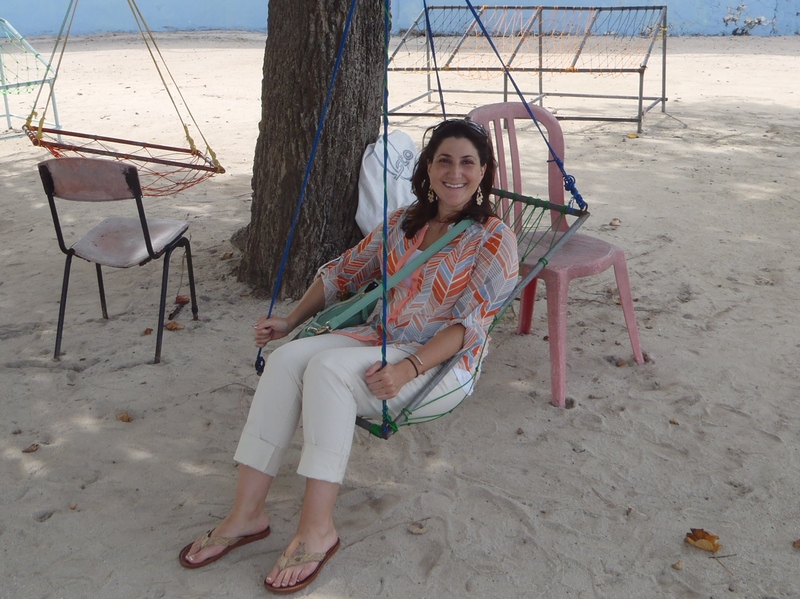 Some have become interested in running small tourist rentals, but from my experience in one, they have no idea how to navigate the hospitality industry. Most tourists come from resorts near by and shop in the island’s small assortment of shops. On the flip side, the young women are incredibly bright and are educating themselves to get away from the boys. Many go to school on Male part time and are looking for husbands elsewhere. Here are some of my surveyors on the job. 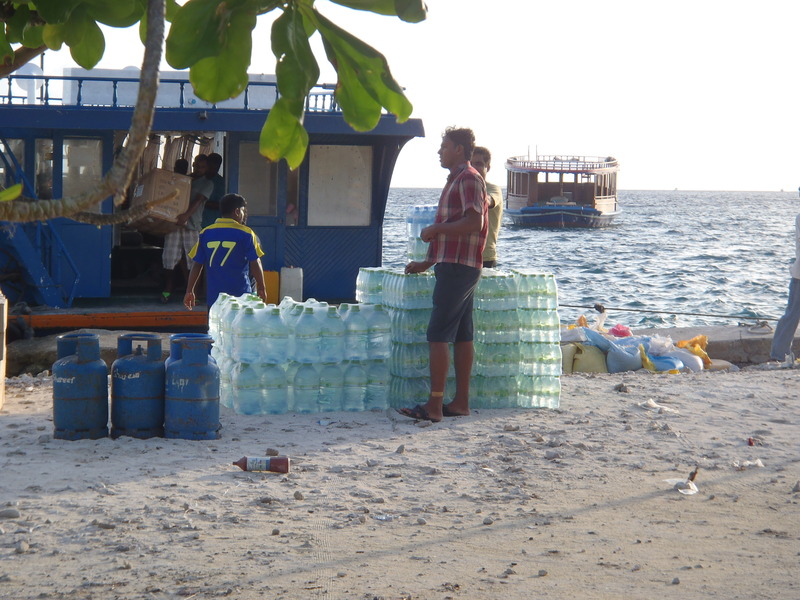 Beyond the perils of a disenchanted youth, the bigger issue for Guraidhoo is development related; its the trash. Most people only see pristine images from the Maldives, but these are certainly cherry picked. Here’s the other side. 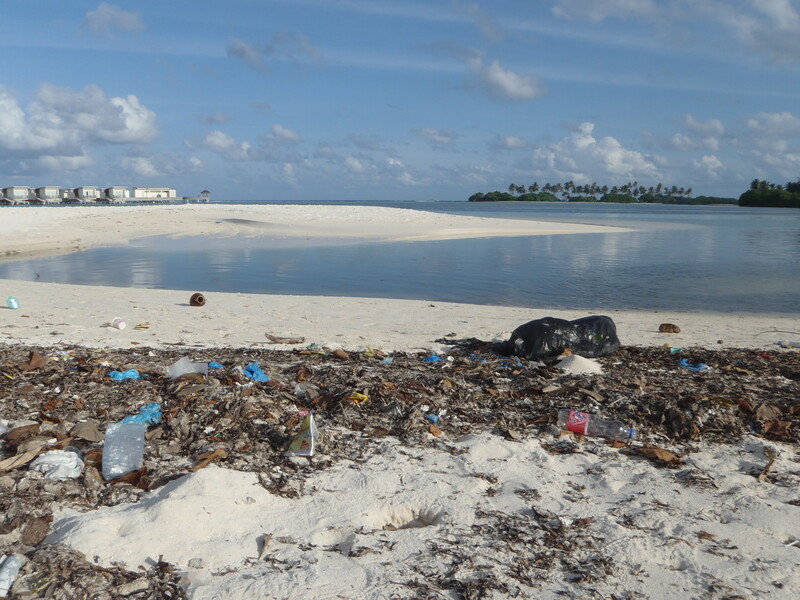 Guriadhoo, like many islands, faces the fact that with little land there little space to hide post consumer trash. Modern life is full of packaging, something a tiny island cannot cope with. Armed only with an incinerator donated by the Holiday Inn, this tiny island is filthy and it worries me. And the worst is the water bottles. Because of over pumping, the water is now brackish; trust me, I had the saltiest toothpaste that you could ever imagine. Here’s what a few day’s worth of drinking water looks like. These islands’ integrity is in peril due to seal level rise and yet their most pressing issue is sewage and toxic incinerator smoke. How do we handle these dueling priorities ? That’s a tough question. I don’t think anyone has an answer yet. 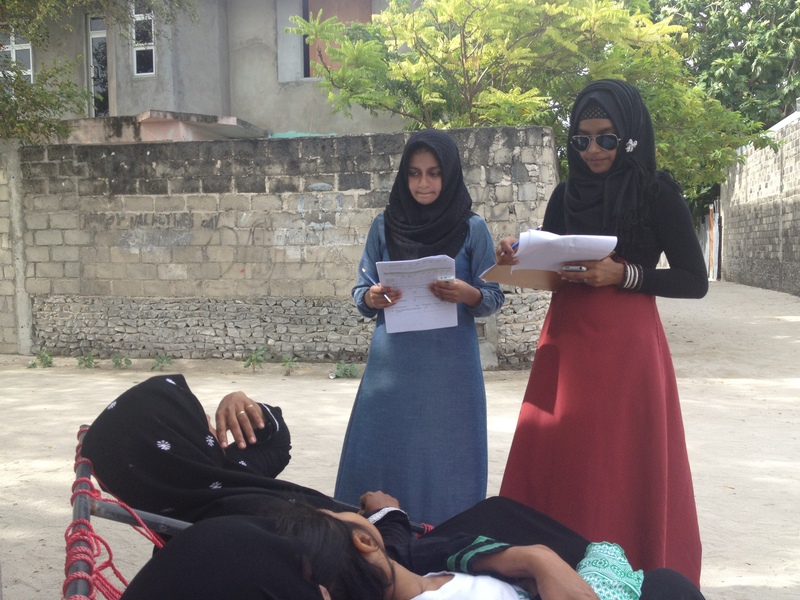 Overall the people on Guraidhoo are pleasant and simple, connected to their devices and tradition. 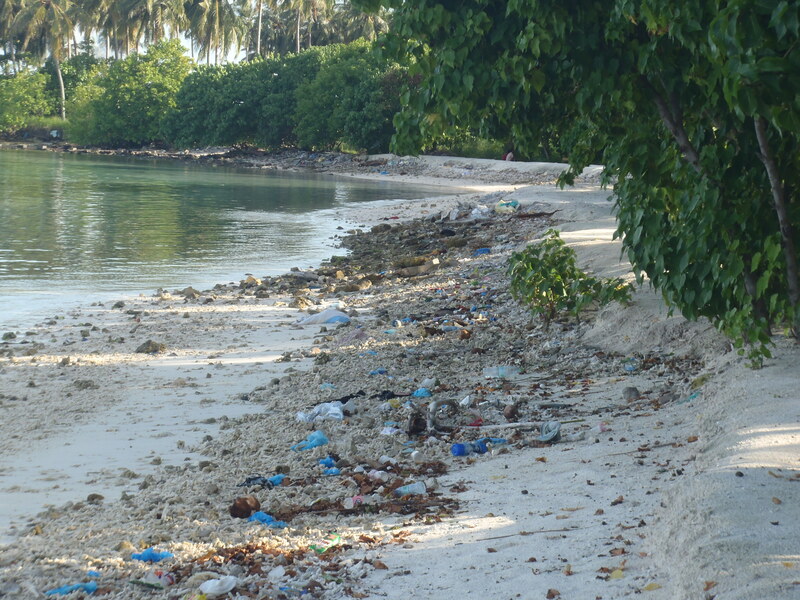 And what will the world tell them when they need more help, ‘clean up your trash first?’ It’s been said before to islands in the Pacific. I suppose we’ll have to wait and see.